Deutsche Post DHL transports letters and parcels within Germany and internationally and is a specialist for dialogue marketing, distributing press products, and for comprehensive solutions for physical and electronic corporate communication. Deutsche Post DHL has been a strong partner of KS-Europe for more than 30 years. Deutsche Post DHL is the world’s leading postal and logistics group. The DHL and Deutsche Post brands give the group a broad spectrum of services in international express business, in air and ocean freight, in transport by road and rail, and in contract logistics. The Swiss Post (Schweizerische Post AG) is a public limited company under special law owned by the state and is Switzerland’s biggest postal operator. Its four core markets of communication, logistics, retail banking, and public transport are handled by the strategic group affiliates Post CH AG, PostFinance AG, and PostAuto Schweiz AG. Swiss Post handles over 15 million consignments per day and over over 100 million parcels annually. Schweizerische Post AG has more than 60,000 employees worldwide. The range of services provided by the 12 companies operating under the Hermes trademark covers the entire value-added chain: sourcing, quality assurance, transportation, fulfilment, 2-man handling, parcel service, and letter and catalogue delivery. Hermes Logistik Gruppe Deutschland is the dependable parcel-service provider for mail-order and online trading and offers private customers, tradesmen, professional sellers, and bulk mailers the right dispatch solution and service spectrum to suit each one’s specific needs. The Austrian post office AT Post is the country’s leading logistics and postal services provider. Its main areas of business include the carriage of letters, advertising mail, printed media, and parcels. AT Post’s network of branches is one of the largest private-customer networks in the country and offers its clientele high-quality products and services in the postal, banking, and telecommunications sectors throughout Austria. Spring Global Mail offers international postal and parcel services and intelligent returns solutions for companies. In 12 years Spring Global Mail has become the biggest independent delivery service on the market. Like KS-Europe, the focus is on intelligent eCommerce solutions. The Returns Management research group was established on the initiative of the chair for Business Studies, esp. production and logistics, at the Otto-Friedrich University in Bamberg. KS Europe actively participates in studies by the Returns Management research group and receives access to the latest study findings. 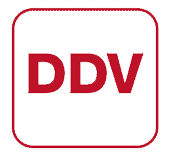 DDV is the biggest national association of dialogue marketers in Europe and one of the central organisations in the communications industry in Germany.